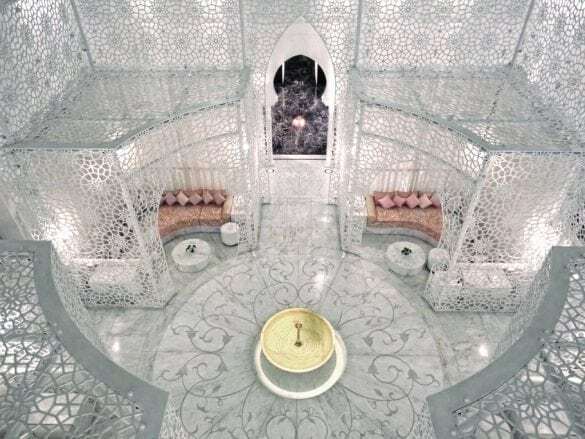 Royal Mansour Marrakech isn't simply a hotel - it is a Moroccan lifestyle experience. 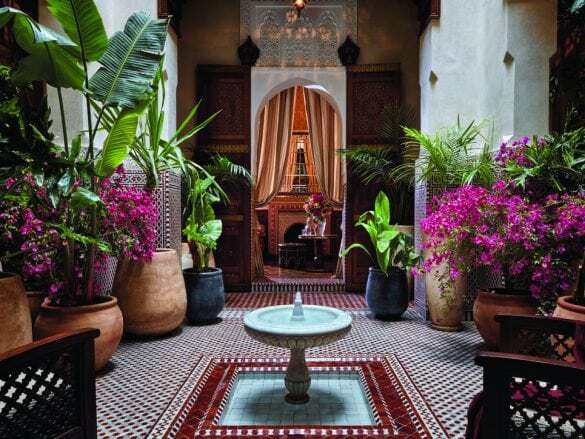 With 53 private riads* starting at 1500 square feet, this hotel is luxury at its finest. 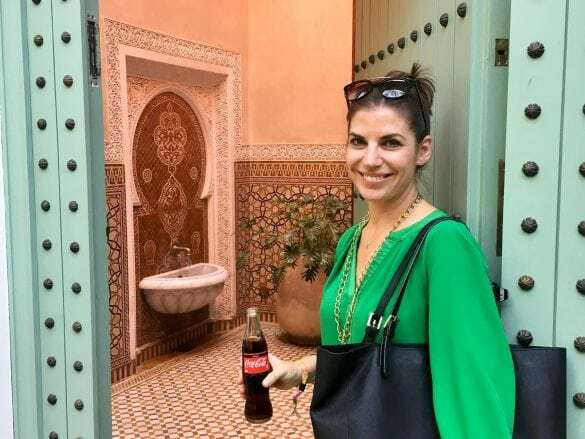 More than 1000 Moroccan craftsman carefully designed and built this oasis, and their attention to even the most minute detail shows – from the silk upholstery to the manicured gardens to the zillige tilework. The service – it is as attentive as it is discreet. The 500-person staff uses underground passages to get around the property, so while there are plenty of people ensuring your stay is exceptional, you will rarely see them. And when you do need something in your riad, one of your 10 dedicated staff members appears out of thin air (or out of a service entry door, but it sure feels like thin air!) and graciously attends to your requests. Toothbrush? A bottle of wine? A midnight snack? You got it – and served on a silver platter, to boot! Just being. You are in one of the most beautiful, private, and serene settings, so take time to simply relax. 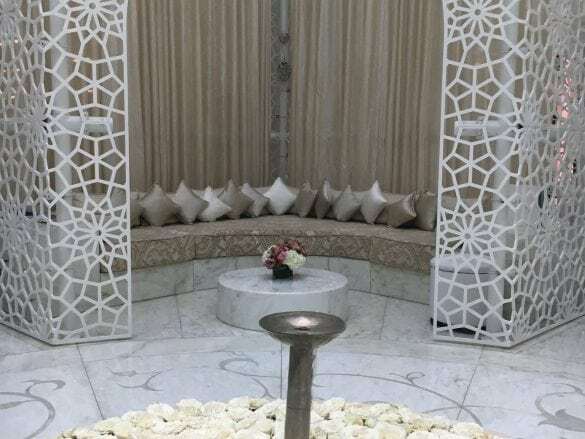 Take a nap under the Bedouin tent on your roof terrace, cool off in your private plunge pool, savor a drink in front of your fireplace, or, if you feel like leaving your riad, indulge in a treatment at the 27,000 square foot spa. 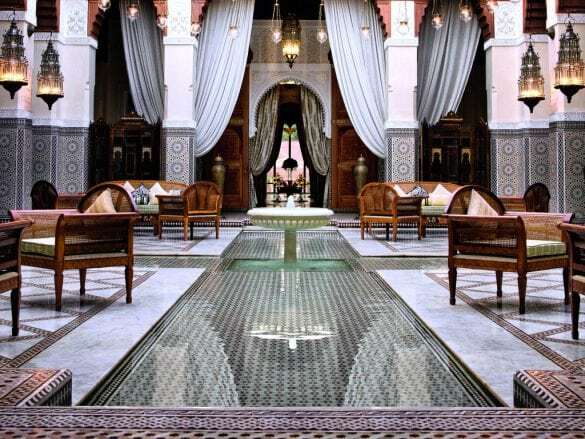 The culinary experience at the Royal Mansour is on the same level as the rest of the hotel. 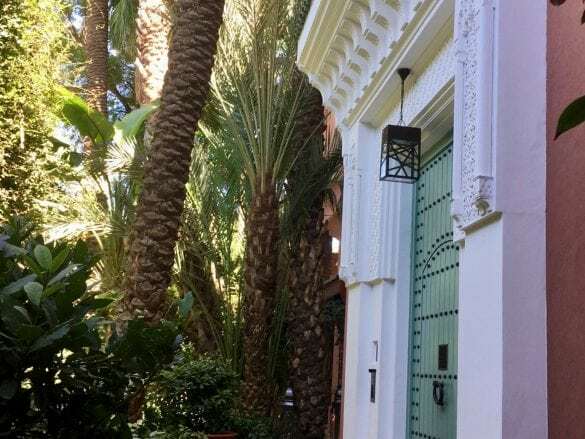 Yannick Alleno, a three Michelin-starred chef from Paris, oversees the four restaurants at the hotel: La Grande Table Marocaine, La Grande Table Française, La Table, and Le Jardin. 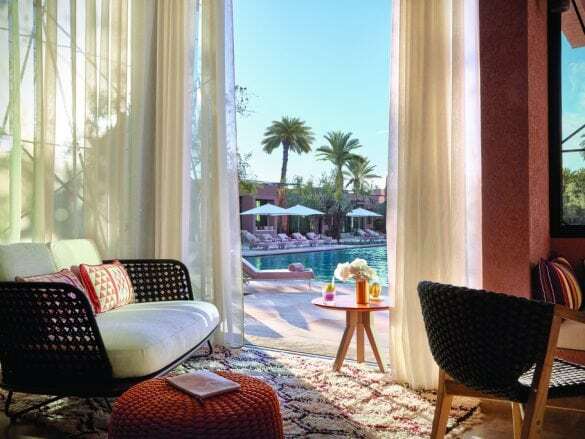 The Royal Mansour Marrakesh is located between the historic center of Marrakesh and the Ville Nouvelle, of new town. The resort is located 3 miles from the Menara airport (RAK). Your Brownell Advisor can arrange a private transfer. Start the day off right by enjoying a leisurely breakfast on your rooftop terrace. Just know that your everyday yogurt-on-to-go will never be the same after this most-luxurious morning meal!